Last Thursday I wrote about the 2 dozen+ fresh peaches my cousin gave me and the peach-whole wheat muffins I made from a handful of them. 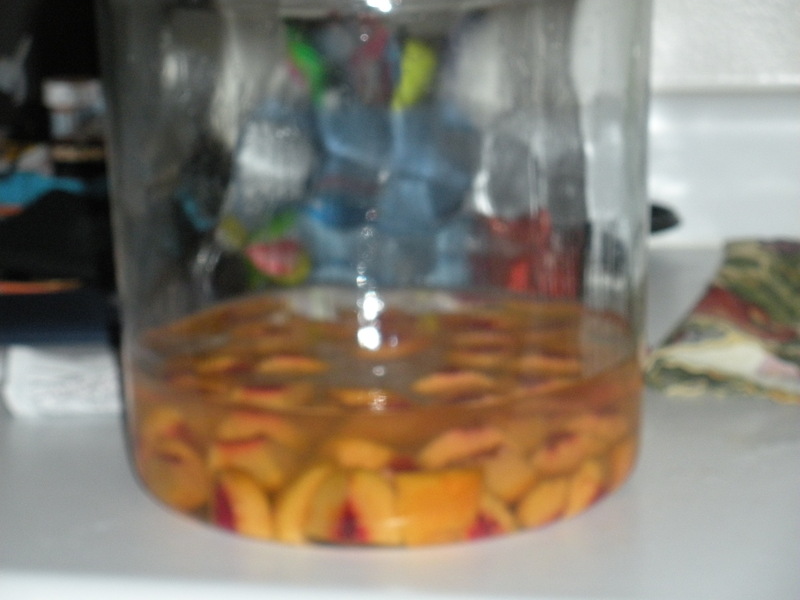 While my muffins were baking in the oven, I began another peach-fest project: peach-infused vodka. The recipe is super simple and not too time-consuming. The only ingredients you’ll need are a 1.75 liter bottle of medium-grade vodka (think ~$20 range) and about 3-4 cups of chopped, cored and peeled fresh peaches. 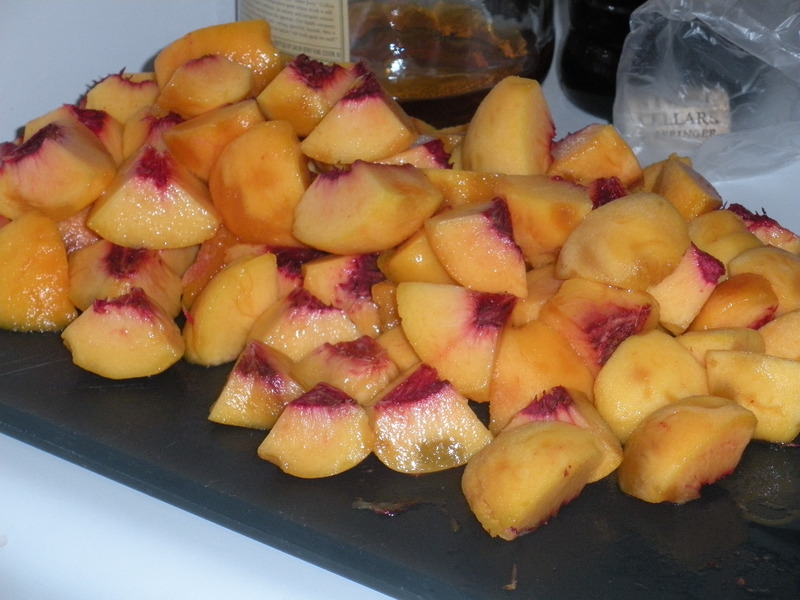 Pour the vodka in a sterilized glass jar and add the peaches. Cover and store in a cool, dark and dry place for 2-5 days. Shake daily. 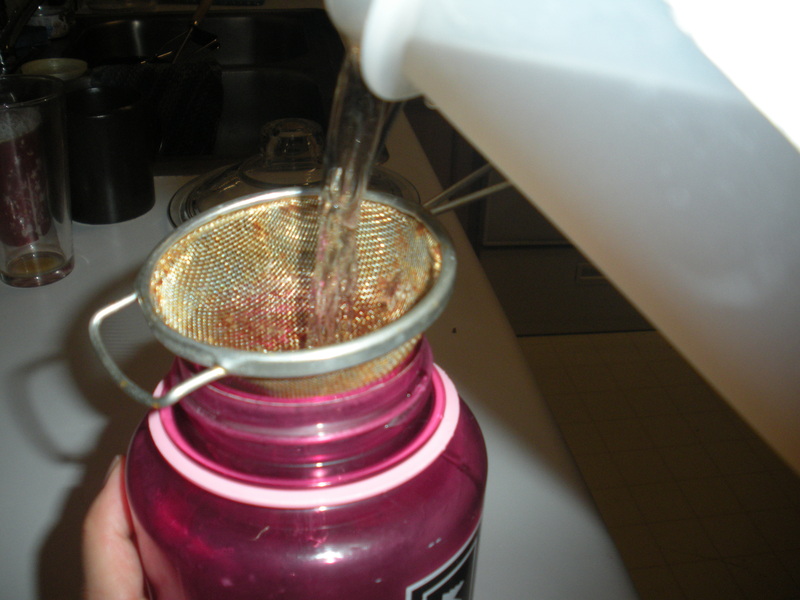 When the vodka is ready to be processed, use a strainer or cheese-cloth to drain into smaller glass or plastic bottles. 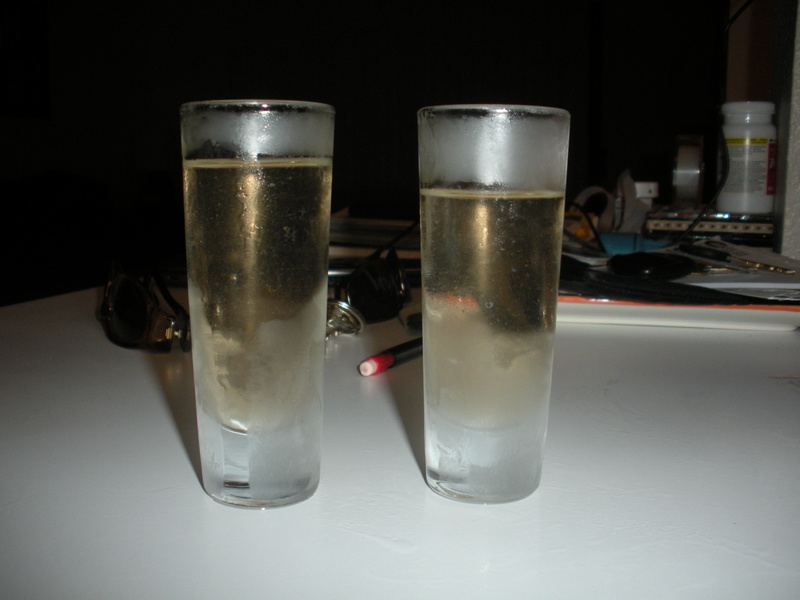 Store in the refrigerator and/or serve in a chilled shot glass. We let our vodka infuse for 3 days, and it had a nice peach color with a strong vodka flavor. After straining out the peach particles, the longer you store the vodka, the better the vodka will age and improve the peach flavor. This recipe works with other types of fruits as well. We’re looking forward to trying cranberry-infused vodka this Christmas. This entry was posted in DIY, The Simple Living Experiment and tagged food preservation, infused vodka, Peaches, recipes, vodka. Bookmark the permalink.